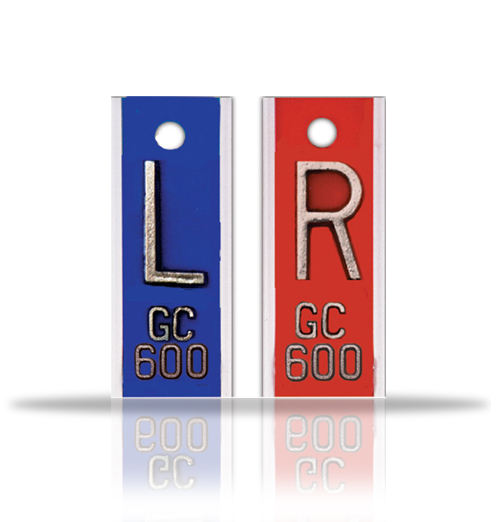 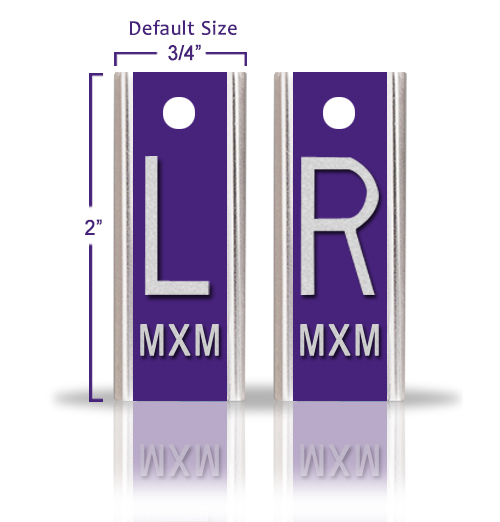 R & L is 5/8" , and comes with 2 or 3 initials per line- 1/4". 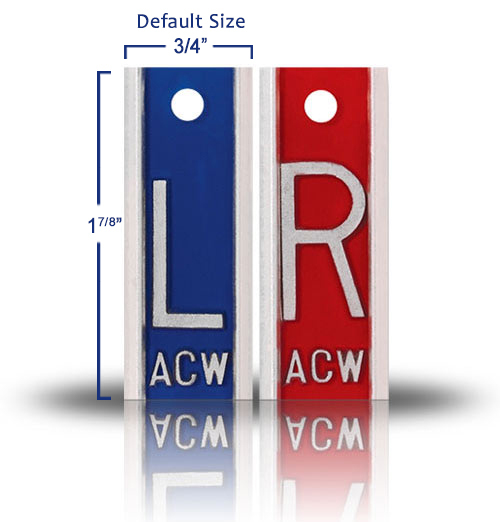 Use the firs line for your initials and the second line to identify a school, department or whatever else you need. 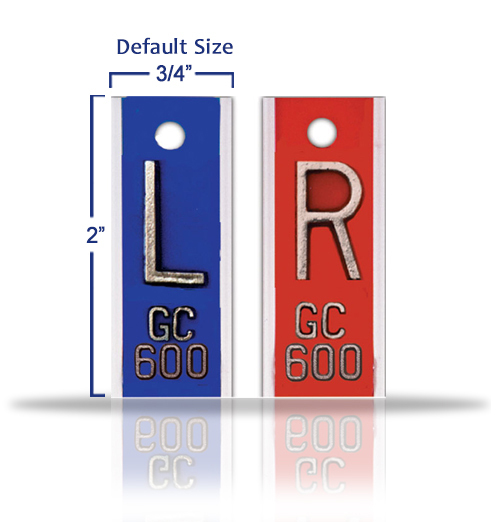 NEW Elite style marker that allows two lines of identification. 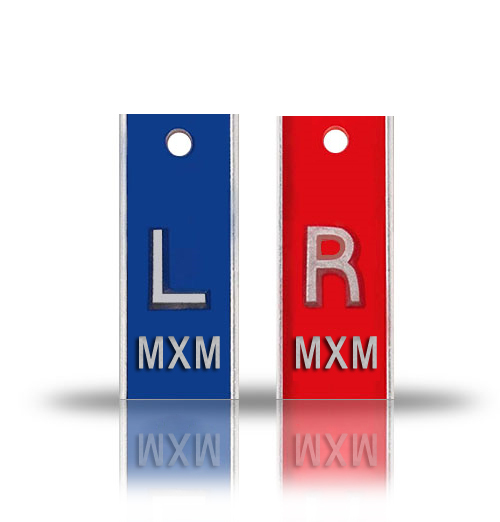 One line for your initials and one line to identify a school, department or whatever else you need. 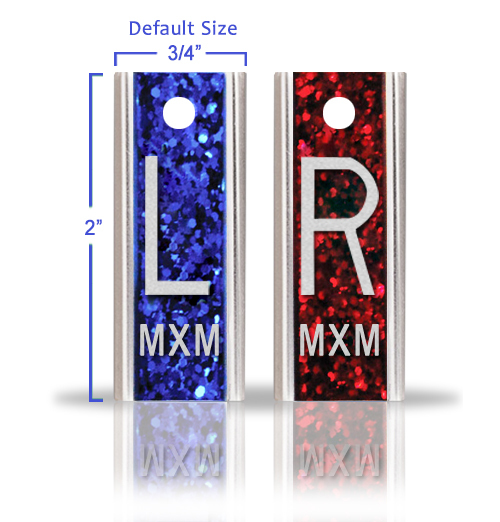 These markers are made of the most durable aluminum casing. 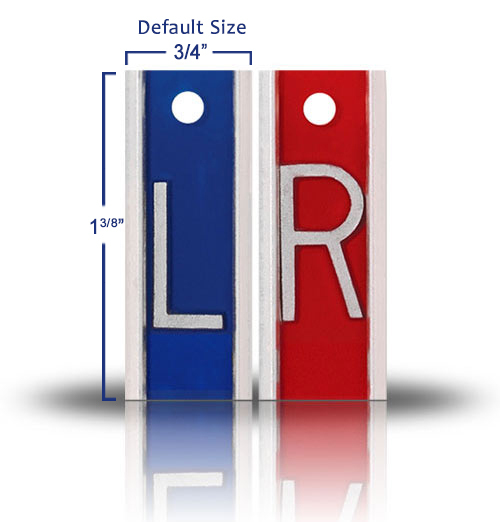 Red for "R" markers and Blue for "L" markers. 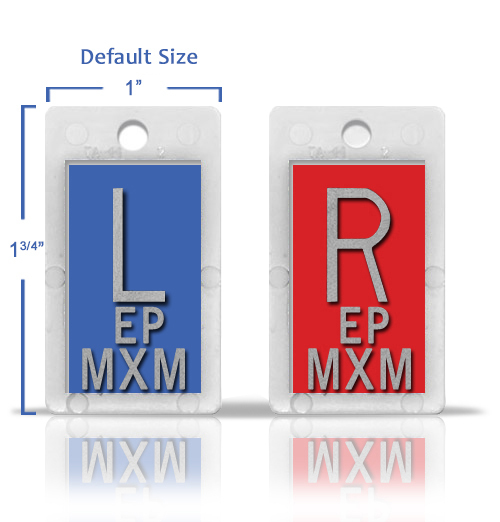 Since this item is personalized with initials, it is non-returnable.